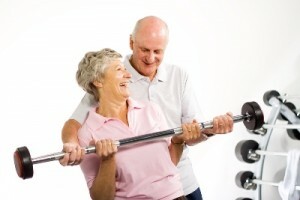 One of the greatest concerns as we age is the loss of muscle mass. When we loss muscles mass it decreases our energy and physical strength while increasing the risk of falling or injuring ourselves. The loss of muscle mass also increases the risk of illness or infection and slows down the body’s natural ability to heal itself. The loss of muscle mass as we age has very serious consequences. That is why it is so important to take the necessary steps to stop or at least slow down the loss of muscle mass. Over the last few years, researchers have uncovered that it is possible to restore and strengthen the ability of older people’s muscles to rebuild and repair themselves. However it has also been shown that the longer we wait to start this process the harder it is to achieve. Starting to workout and being active is more important than ever and it is never too late to start. Keep in mind that if you are not used to working out you should take it slow. Exercise should be a commitment and not something you do in a rush. When we build muscle slower, that muscle mass is denser and less likely to be lost. Bulky muscles lose mass faster while smaller denser muscles are better at retaining their mass. The number one way to combat muscle loss is prevention. By the time we hit 30 we are already starting to loss muscle mass. Most loss of muscle at this point is due to low physical activity. It’s best to start young and develop good exercise habits. If you are older it’s important to remember that it’s never too late to start to exercise. By the time we hit 30 we should be lifting weights and working out at least two times a week. This will help you to retain the muscle mass you already have. If you want to gain new muscle mass it is suggested that you work out three to five times a week. Lifting weights alone is not enough to stop muscle loss. We will also need to provide our bodies with the building blocks it needs to create more lean muscle tissue. A steady consumption of protein throughout the day is essential for maintain and creating new muscle mass. It is best to eat protein throughout the day because the protein that we eat only stays in the body for about four to six hours, after that time the protein that we ate is flushed out of the body. So, if it has been twelve hours since you last ate protein and you workout your body will cannibalize muscle mass from another area of the body. The same thing happens if you hurt yourself and your body needs protein to heal, it will take muscle mass from another area to use for repairs. The loss of muscle mass is also one of the reasons that older people start to gain weight and become out of shape. Lean muscles mass burns more calories than fat. So, when we start to loss muscle mass it causes the body’s metabolic rate to slow down, this causes the body to put on extra pounds. This excess weight can lead to more health problems. 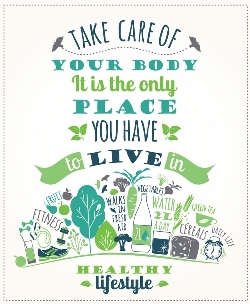 While we have not found a way to completely stop the aging process, we can take the proper steps to slow it down. Eating the correct nutrients and participating in weight training or resistance training is the best way to slow down and gain new muscle mass. There is no reason to be scared or intimated by strength training exercises. There are many choices when it comes to this type of workout. There are weight machines, free weights and body weight workouts all with specific exercises that are appropriate for people of all ages and fitness levels. Consider hiring a personal trainer to get you started. There are also many workout DVDs available online, as well as, instructional videos on the Internet. It is important to learn proper form, no matter what type of workout you choose, so to avoid injury and get the best results.